Spring Training is near as Spring Sports are coming to an end. Spring Training will be on Mondays and Thursdays, 2:00 – 4:00 p.m. at Davidson Stadium. See Coach Amanda during school hours if you need a transfer slip signed. If you are interested in being a part of the merchandise/spirit gear/design committee, please let Coach Amanda know. For the past few summers, a number of Newport Harbor Field Hockey players traveled to Universities to participate in their Field Hockey Summer Camps. 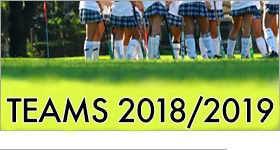 This year, we are planning to send a group to either the field hockey camp at Stanford or Cal Berkeley. The Newport Harbor Field Hockey Boosters is working out a way to help lower the cost of the camp; the amount discounted will depend on how high the interest level is. If you have a high level of interest, please click here to fill out the doodle form with your preference on the camp. If you have any questions, please contact newportharborfieldhockey@gmail.com.